We need donated items to make this a banner year! It will be our Annual 20th Rummage Sale to raise scholarship funds for next years graduating SLV Seniors of 2019! 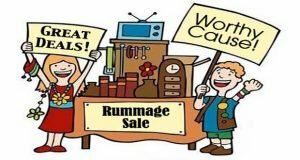 20th annual Scholarship Rummage Sale! Please no books, clothes, or baby equipment.